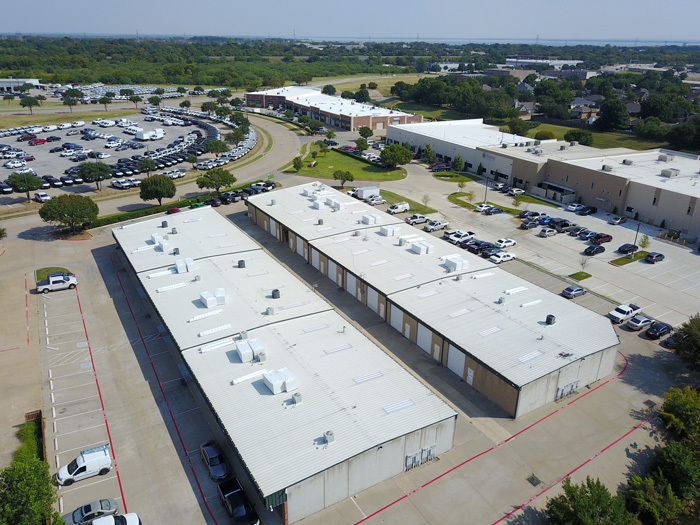 Backed by 40 years of experience providing exceptional service in the Dallas area, EDP Roofing is a commercial roofing company that stands behind its work. Serving all of North Texas and the Dallas/Fort Worth metro area, our roofing specialists work on all forms of roofing and guarantee all work. We pride ourselves on the high number of returning customers that rely on us time and again for quality service. Our goal is to keep your business looking beautiful and functional while at the same time protecting it for many years to come. Turn to us for proven Energy-Star products that extend the lifespan of your roof and lower your energy bills too. Whether you need commercial roof repairs or maintenance, EDP Roofing should be your first phone call. 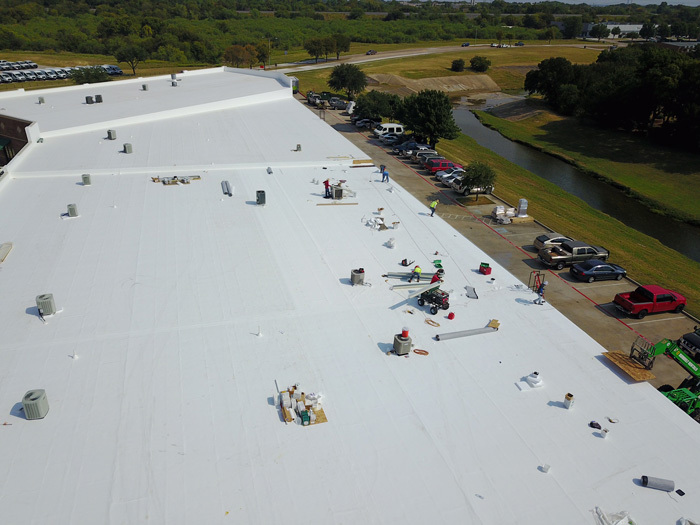 As a certified Dallas roof repair contractor for top manufacturers in the industry, we are proud of our status as one of the most trusted commercial roof installers in the Dallas-Ft. Worth Metroplex over the last four decades. When you call us for a free estimate, we can go over your specific situation in detail to come up with the best solution. We have seen a lot in our 40 years of working on roofs in Dallas. Many times, we have to fix the poor workmanship performed by other roofing companies in the area. When it comes to storm damage, which is common in Dallas, our team gladly performs emergency work while helping you file your insurance claim. Your roof is always our top priority! We place a big emphasis on product training, roof system design, and safety. Turn to our team to provide you with a unique experience tailored to your exact needs and specifications. Proud of our track record of meeting and exceeding the expectations of our clients of all sizes, you know you’re making the right choice as soon as you meet with us. With competitive prices, a proven reputation, and attentive customer service, rely on EDP Roofing for your commercial roofing needs. So, if you need advice on a roofing problem or need an estimate to help you plan, please don’t hesitate to call us. And remember, we offer 24 hour emergency service as well. We know roofing emergencies don’t always wait until regular business hours! Open Monday through Saturday, EDP Roofing is located at 790 S Interstate 35 East in Lancaster, TX. Contact us at 972-921-6116 for a free, no-obligation estimate or email us at info@edproofing.com.